Begin where Forest Road 63 ends. Step around the barrier and immediately enter the Wild Sky Wilderness. Parallel the north fork of the Skykomish River along the old road, watching as the road slowly changes into trail. Shortly, enter the Henry M. Jackson Wilderness. Pass a junction with the Pass Creek Trail. Continue along the north fork of the Sky, as the trail slowly gains elevation. 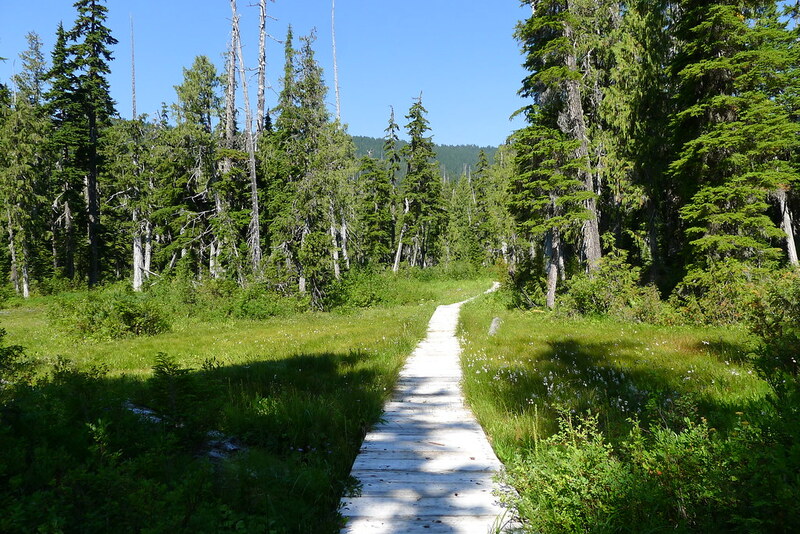 Enter into meadows with views of Long John Mountain and June Mountain to the north and Skykomish Peak to the south. Climb still further, and reach Dishpan Gap. 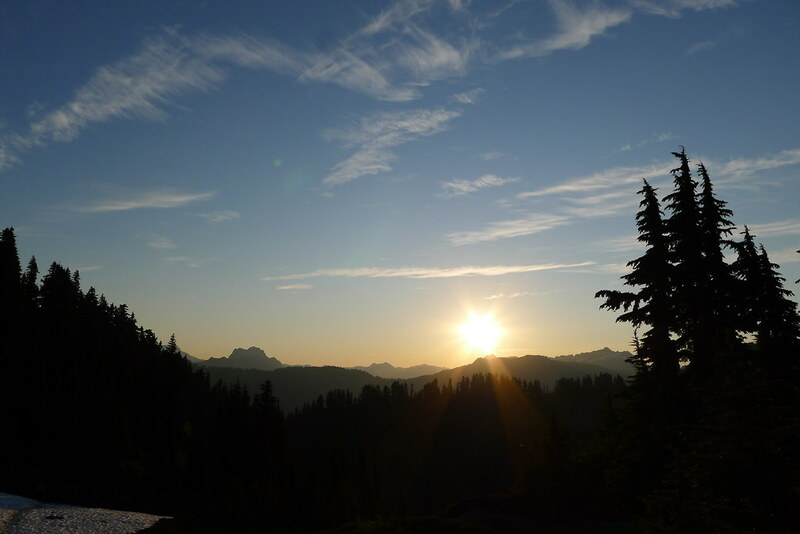 At the junction, consider a short detour north to nearby Blue Lake and Pilot Ridge, in the Glacier Peak Wilderness, but decide against it. 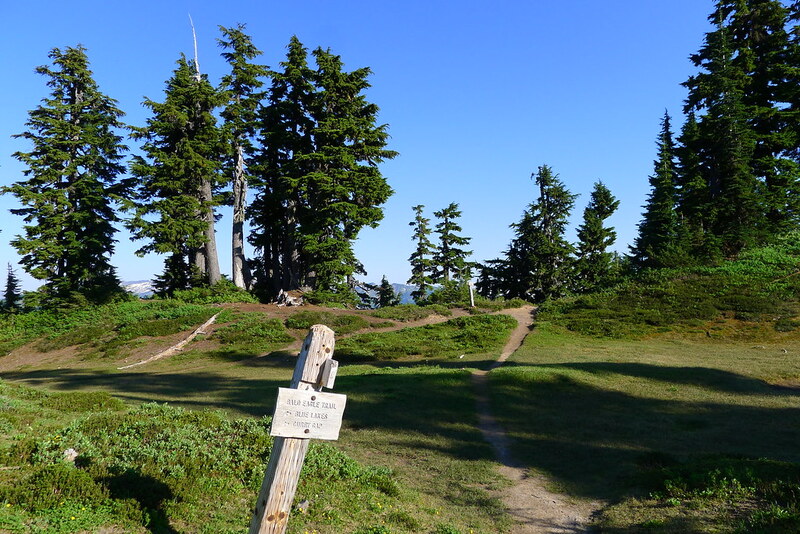 Instead, take the Pacific Crest Trail south. Walk along the ridge. 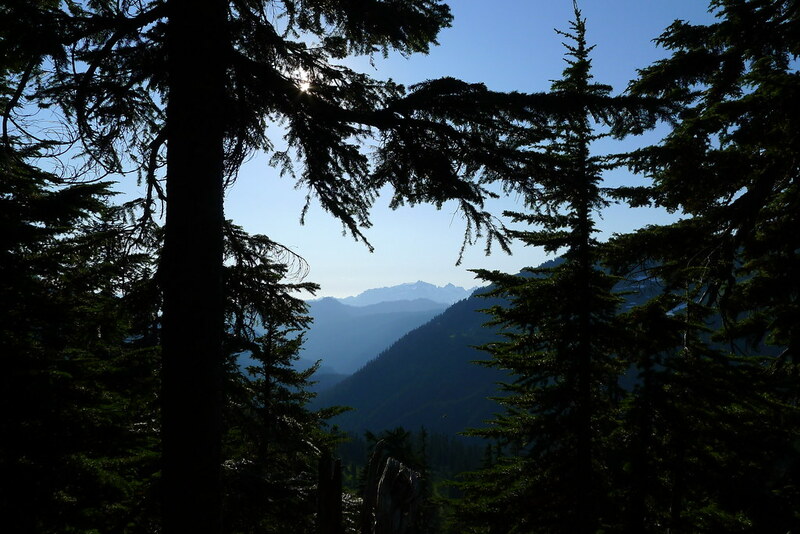 Gaze south, to far off Stuart Peak, and west to the distinctive snow-capped peaks of Gothic Basin and surroundings. Feel some sense of satisfaction at having traveled a piece of this country. Head over Wards Pass, pass the junction with Cady Ridge, and reach Lake Sally Ann. Pitch camp. Eat dinner. Wish your moon-shadow a good night, and retire. Rise in the morning. Not too early, not too late. Feel the warmth of the morning sun. 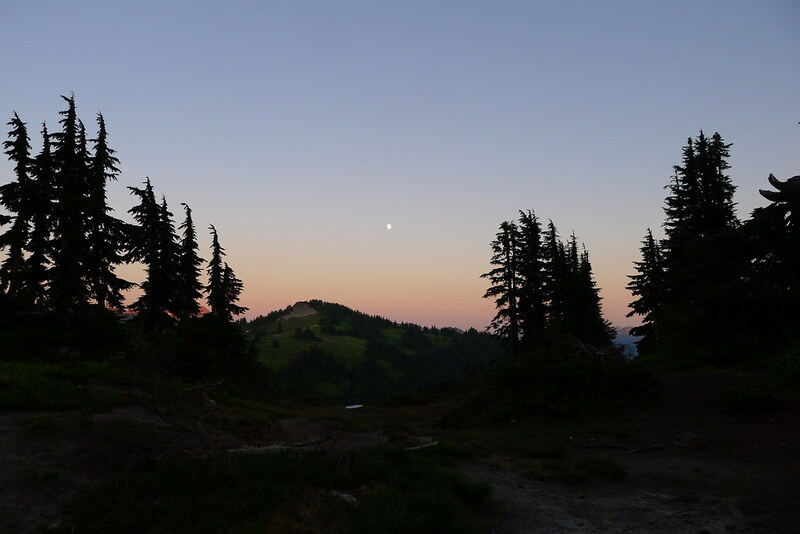 Break fast, break camp, and step back onto the PCT. Head south once more. 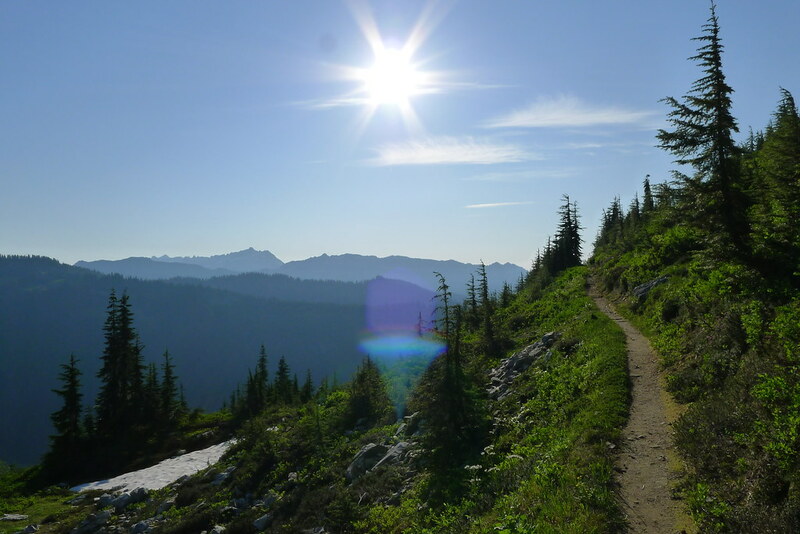 Walk along the shoulder of Skykomish Peak, through open meadows, and look east to green Wenatchee Ridge. Descend into old growth trees. Reach Cady Pass, and continue past it. At Pass Creek, sit and think. 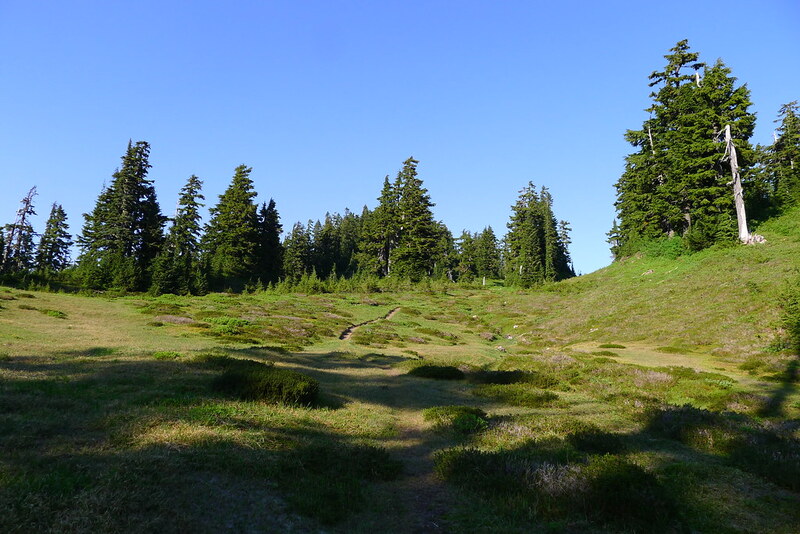 Contemplate a route along West Cady Ridge, but allow laziness to win and choose the shorter path along Pass Creek. 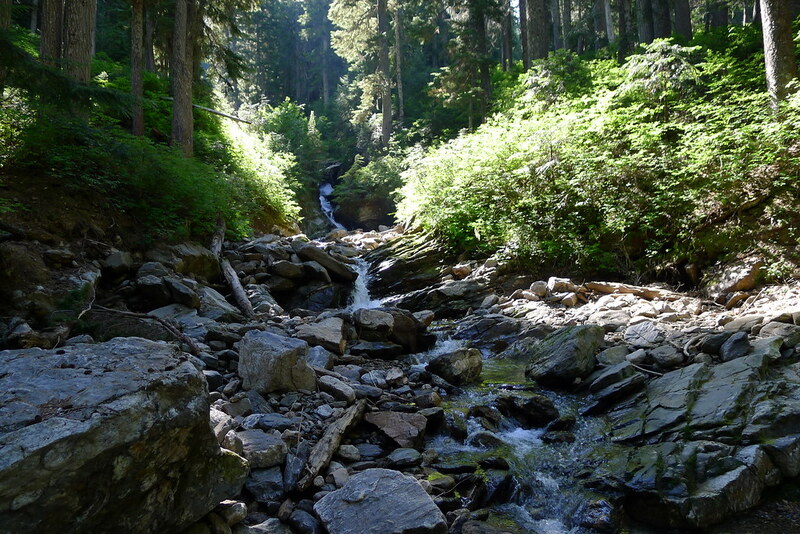 Descend the gradual valley of Pass Creek, crossing the low creek once or twice. At the bottom, reach a boardwalk that crosses the marsh. After, ford the cool and strong North Fork. 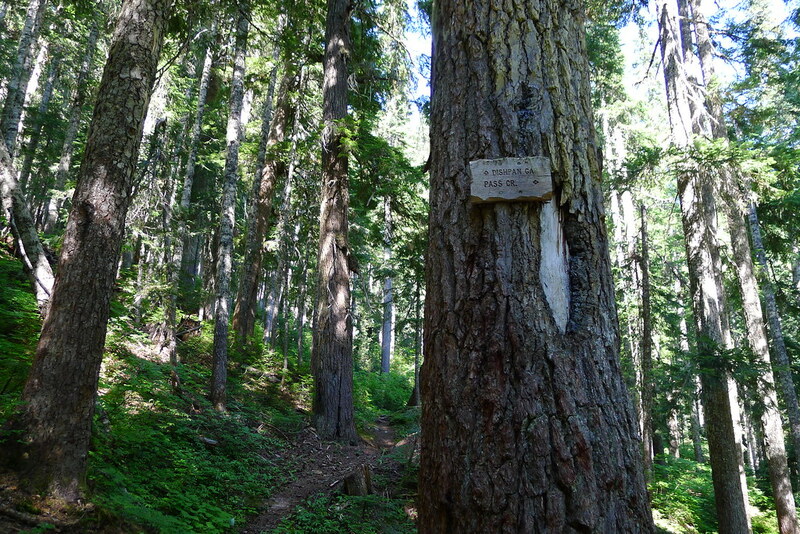 Thereafter, arrive at the familiar junction with the North Fork trail. Walk south and west, watching as the trail slowly changes into road. There, ahead, is Forest Road 63. This post was published on 2011-09-12 . It was modified on 2012-09-15 . It was tagged with wilderness.